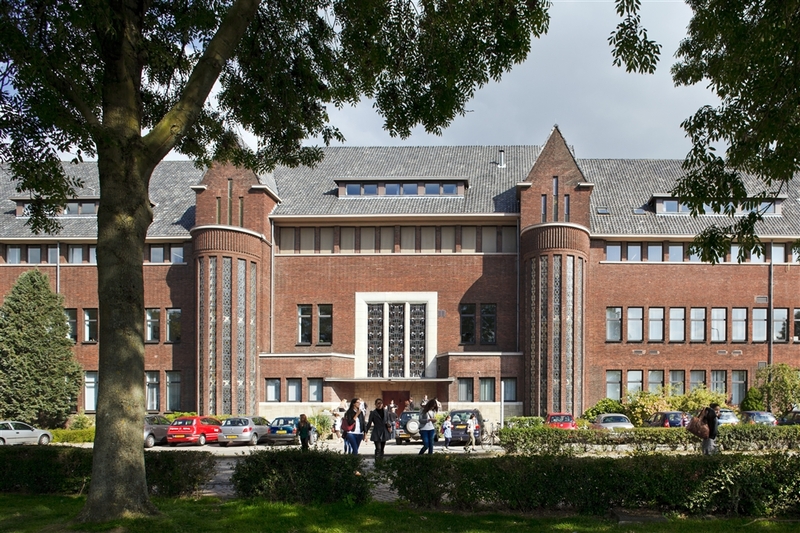 The bachelor programme International Business (IB) at Zuyd University of Applied Sciences in Maastricht, the Netherlands, successfully completed the NIBS reaccreditation process. The school performed this year an extensive self-reflection about all aspects of the school’s international activities. Earlier this spring the school hosted a visit by NIBS reviewers to apply for re-accreditation. The NIBS reviewer team consisted of NIBS Vice Presidents Ian Charles (International Business, Denmark) and Carline Vuylsteke (University College Leuven-Limburg, Belgium). ijen, the IB Programme Manager, Manon Niesten, and various members of the support office (quality assurance, student exchange office, internship office). The panel met as well with the programme’s teaching staff, a visiting lecturer from a partner school and several students. Already in 2010, NIBS concluded that the extent of internationalisation was very high. During the current visit, the panel observed that issues noted during the previous visit were addressed and that an even greater level of internationalisation was achieved. In addition they praised the wide range of language options and their compulsory use in the mobility component of study programmes, and the provision of course credit opportunities for students organising and participating in extra-curricular international activities. The school is proud of its achievements so far and internationalisation will continue to be one of IB’s priorities in the future.